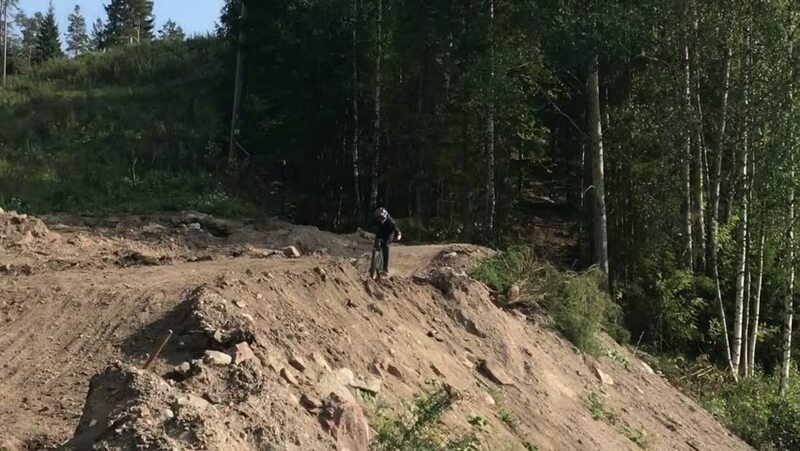 Mountain biking or downhill biking. Jumping with bike in extreme sport. hd00:30Driving ATV on forest high mountain road trail. Beautiful Wasatch Mountain range in central Utah. Late summer recreation ride on all terrain vehicle ATV or side by side RZR to view landscape. hd00:14Wilted leaves fall slightly in the wind leaving bare branches in trees in a deciduous forest, autumn, covering paths with a thick carpet of leaves.